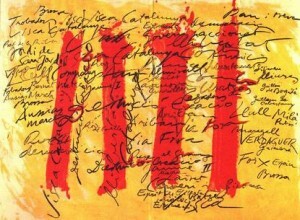 Although small, the Catalan cinema industry offers a high quality. Thanks to the Casal Català (Catalan House) you can also enjoy it now in Zurich. Do not miss the four movies about the war and the conferences to better understand the context and the historical importance of it. 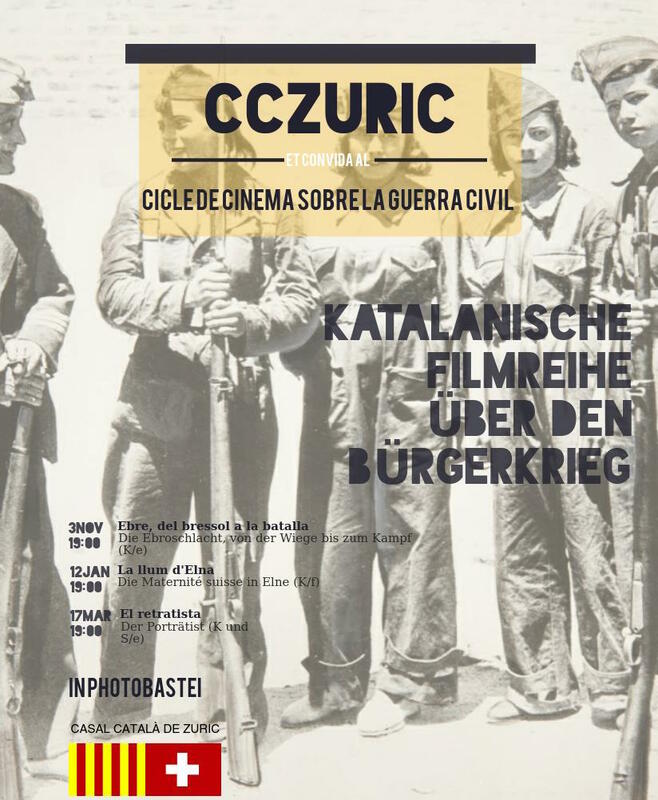 The history of Catalan cinema is long but lately, movies such as “Pa Negre” or “Barcelona, nit d’estiu” have given new energy to it and made it mainstream. Cinema is not only entertainment, it also is a way to disseminate ideas and keep the memory alive. For this reason, the Casal is projecting 4 movies, all about the civil war of Spain, and all with English subtitles: “Incerta glòria”, “La llum d’Elna”, “El retratista” and “Ebre, del bressol a la batalla”. The entrance costs 5CHF per movie. Members of the Casal can pay 15CHF for the 4 movies. “Uncertain Glory” is a novel by Joan Sales about life in Barcelona and in the Republican front of Aragon during the civil war of Spain and the postwar period. The Filmmaker Agustí Villaronga has made an extraordinary adaptation of the first part of the novel: the war. In the movie we do not see guns and shots, we see violence and evil but it is the evil that happens behind the front as a consequence of the war. Projecting this film is part of a joint activity with other Catalan clubs in the world, that will project the same movie at the same moment. The Ebro battle, the longest of the Spanish civil war, gave way to the military offensive against Catalonia and the victory of the fascists. The youth of the “lleva del biberó” or “baby bottle draft” had to take part of this battle. This draft is nicknamed “del biberó” or “baby bottle” because it was formed by young boys born in 1920 and 1921 aged only 17. 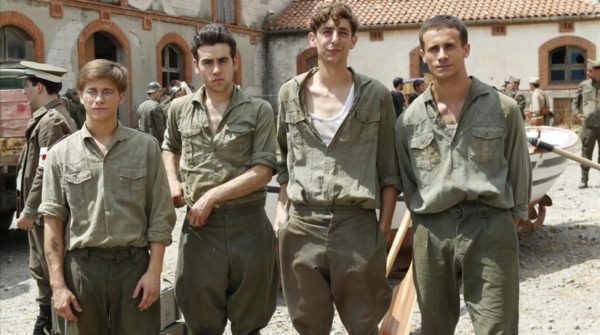 “Ebro” tells the story of 4 teenagers who are forced to go to war. Projecting this film is part of a joint activity with other Catalan clubs in the world. This is a film about woman refugees of the Spanish civil war. In the middle of the darkness of the war, the light of solidarity among women that help each other in moments of difficulty. 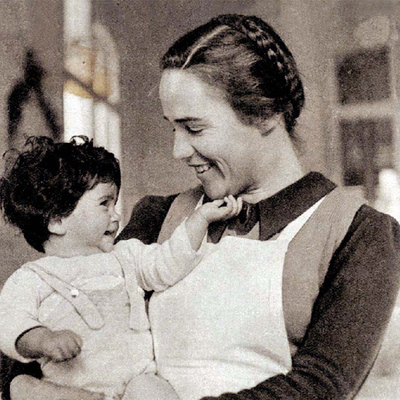 The Swiss nurse Elizabeth Eidenbenz arrived at the north-catalan Village Elna to help the pregnant women and the mothers of babies. The historian Assumpta Montellà, who unveiled the history, will attend the projection and will offer us a talk to better understand the movie and the personality of Elizabeth Eidenbenz. The Catalan teacher Antoni Benaiges was an innovative teacher in a school in Bañuelos, Burgos. In 1936, at the beginning of the civil war, he disappeared and was not heard of until 75 years later. Sergi Bernal brings us the story of this teacher back: a teacher who was killed by the fascists because he taught his students how to think. The historian Sergi Bernal will assist to the projection of the movie and will give a talk on it.